Coach travel to the French Alps from just £80 return when booked with a Hucksters ski holiday. Our Hucksters coach is a great, hassle free, value for money method of transport to some of the best resorts in the French Alps. Leaving the UK every Friday afternoon, the Hucksters snow coach aims to drop our clients in resort early on Saturday morning and leaves resort the following Saturday afternoon. This allows our guests up to a full 8 days of snowboarding and skiing in France. Our quality coaches provide on-board toilets, DVD and reclining seats. Once we have picked our guests up from either Heathrow or Dover, we then board our ferry across the English Channel and drive down through France to the Alps. 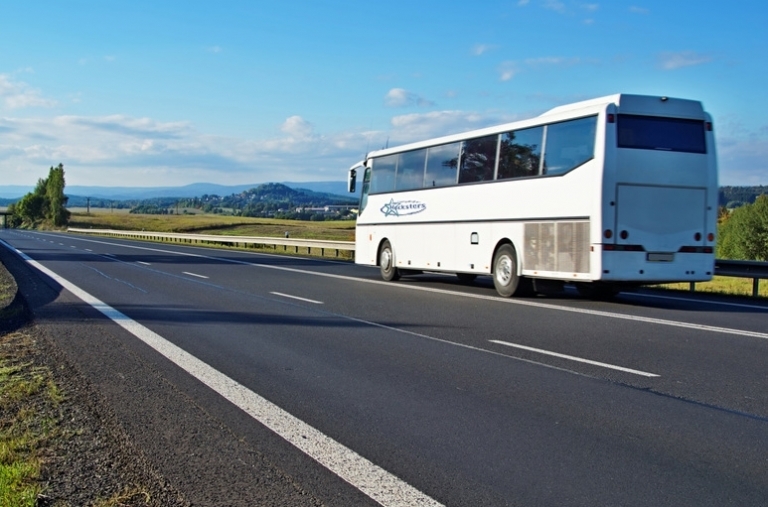 Adult coach return travel: £80 Child coach return travel: under 6 - £80, 7-13 years - £40. OAP return travel: £30. Regional departures may be available for groups of 12 and above for a supplement. Please contact us for details. Each guest may bring one suitcase/large holdall and one piece of hand luggage. Extra bags including ski and snowboard bags or boot bags can be put on the coach at a cost of just £10 per bag for return carriage. Subject to availability at the time of booking. Just give us a ring on 01208 77022 or 07740 062796 or contact us by email.